We know Google has long since moved beyond web search and email to all kinds of strange and exotic projects: self-driving cars, advanced robotics, high-speed internet and much more besides. Now it's been revealed that the tech giant is also working on ultrafast 5G networks powered by drones. The idea is not too dissimilar to the Project Loon initiative Google has already talked about, but in this case drones act as the mobile hotspots rather than hot air balloons - it's also reminiscent of Facebook's own drone-powered internet network scheme. Signals are beamed from a phone to a base station via the autonomous aircraft cruising in the sky. 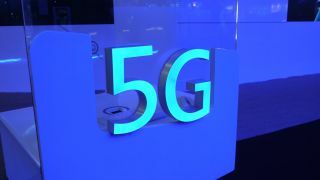 The new 5G network runs via millimetre-wave radio transmissions, which offer very high speeds but a much shorter range than 4G broadcasts, and can also be affected by bad weather. Sources say Google is experimenting with complex "phased array" technology to boost the range of its 5G drones. There's no official comment from Google yet so it's not clear exactly when (or if) this drone-powered 5G network is going to be made public, but initiatives such as Project Fi show the company is determined to get as much of the world connected to high-speed internet as it can.